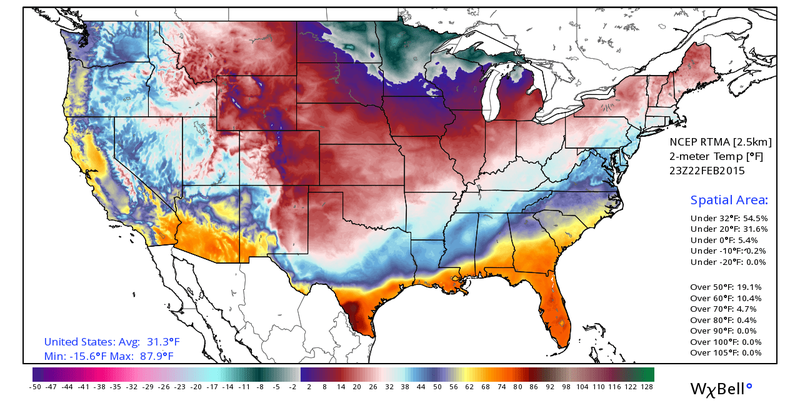 Regional Temperatures @ 4 PM MST This Afternoon. of New Mexico verses just west of the central mountain chain. New Mexico was in the low 70's. 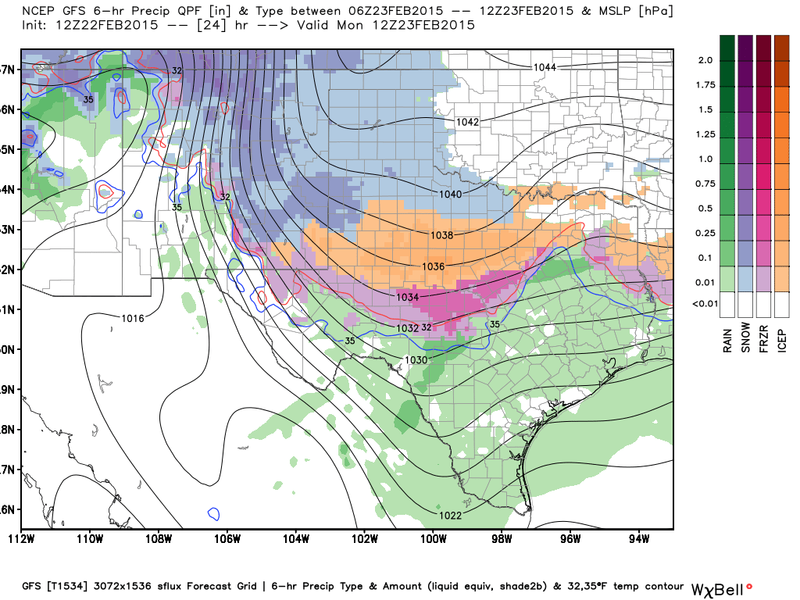 Winter Storm Is Still T Our West. Latest IR Satellite Image @ 4:15 PM MST Today. 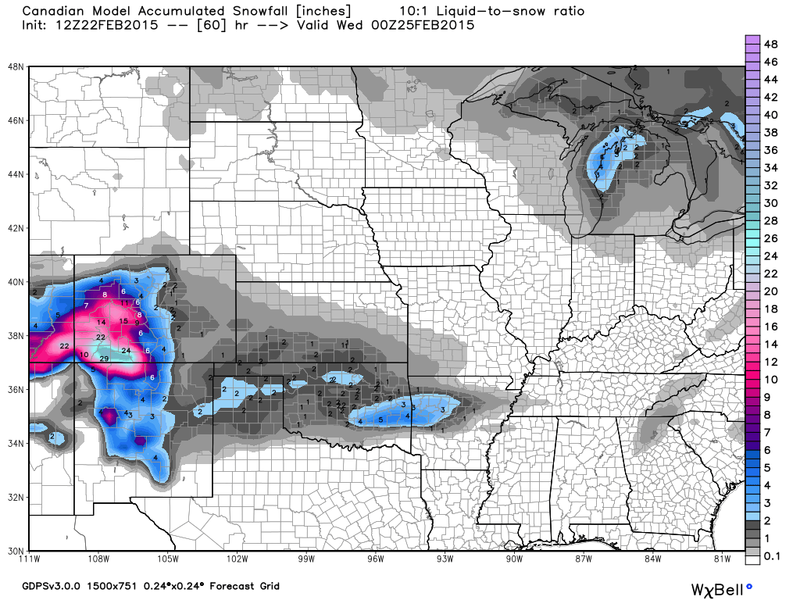 Valid @ 11 AM MST Tuesday. Valid @ 11 PM MST Tonight. 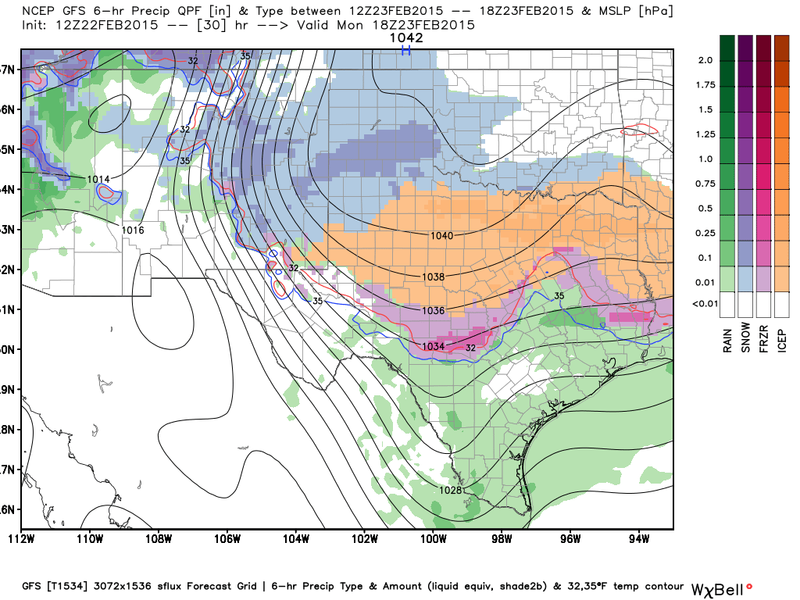 Valid @ 11 AM MST Monday. 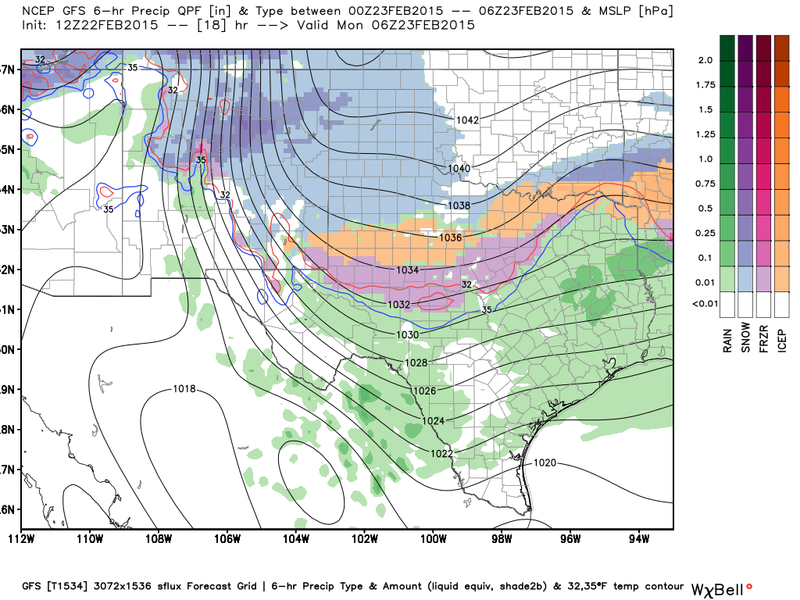 Valid @ 5 PM MST Monday. 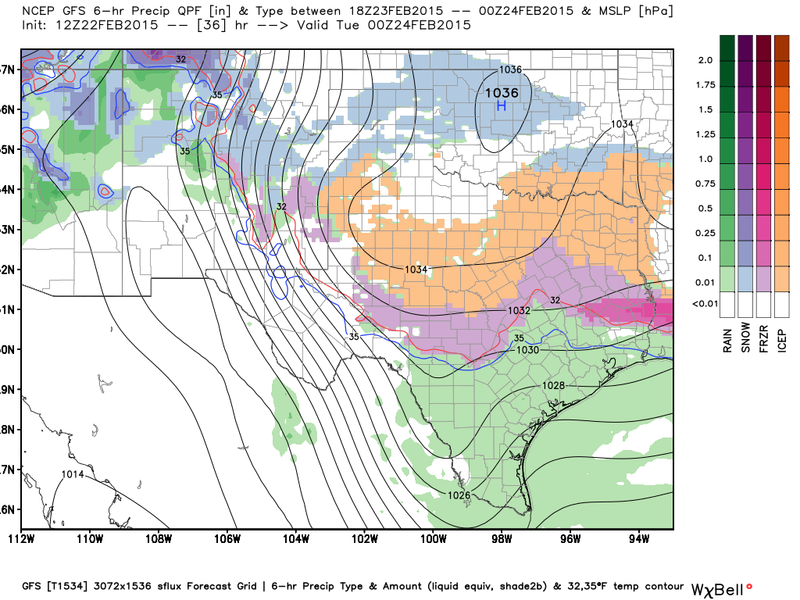 GFS Valid @ 5 PM MST Tuesday. 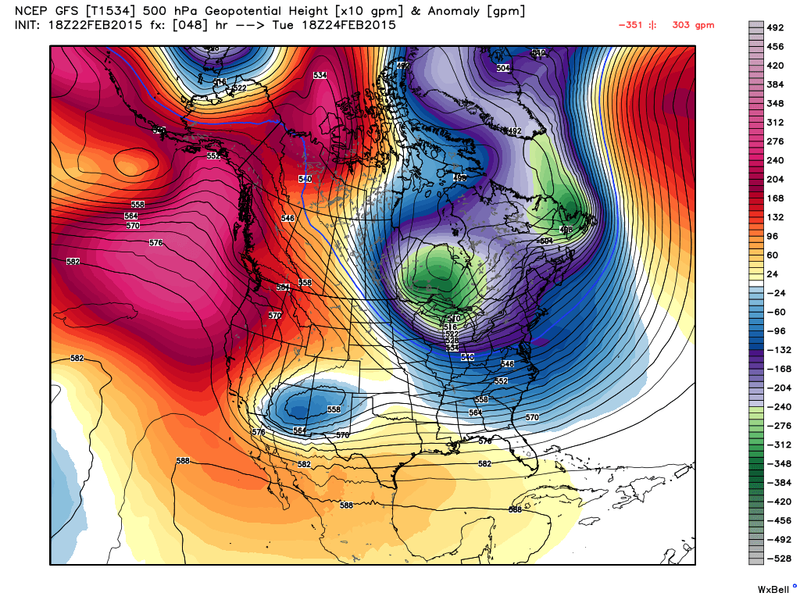 Canadian (GEM) Valid @ 5 PM MST Tuesday. 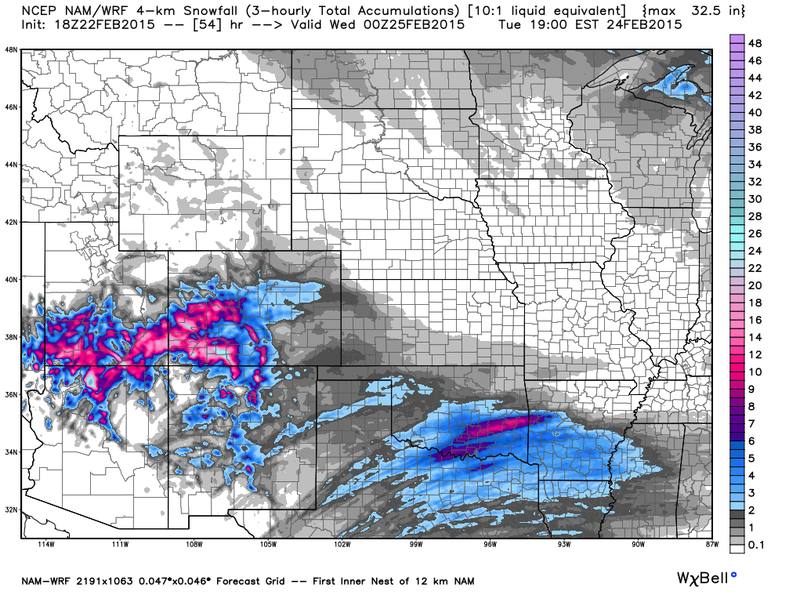 NAM/WRF Valid @ 5 PM MST Tuesday. NWS WPC Valid @ 5 AM Wednesday. NDFD Valid @ 5 PM MST Wednesday. 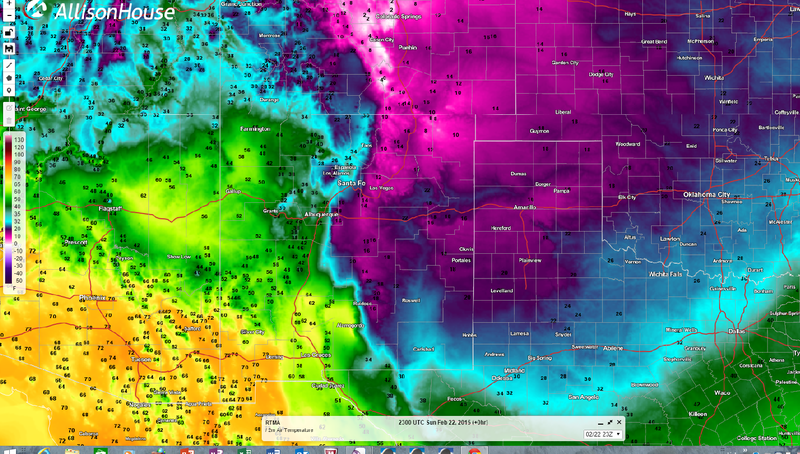 Much Of The Area Under The Gun For Widespread Icing. 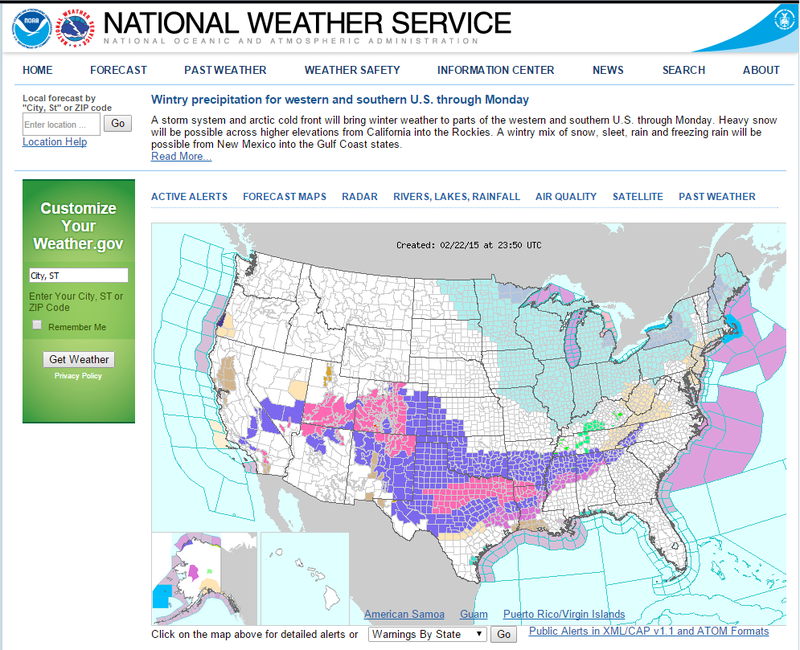 Click On This Link For The Latest NWS Watches/Warnings/Advisories. Latest New Mexico Snowfall Totals. Light snow broke out over southeastern New Mexico off and on throughout the day today. Areas of light freezing drizzle and freezing fog are now settling in over the area as we approach sunset. A mix of freezing fog, freezing rain, freezing drizzle, sleet, and snow still remains in our forecasts tonight into Monday. 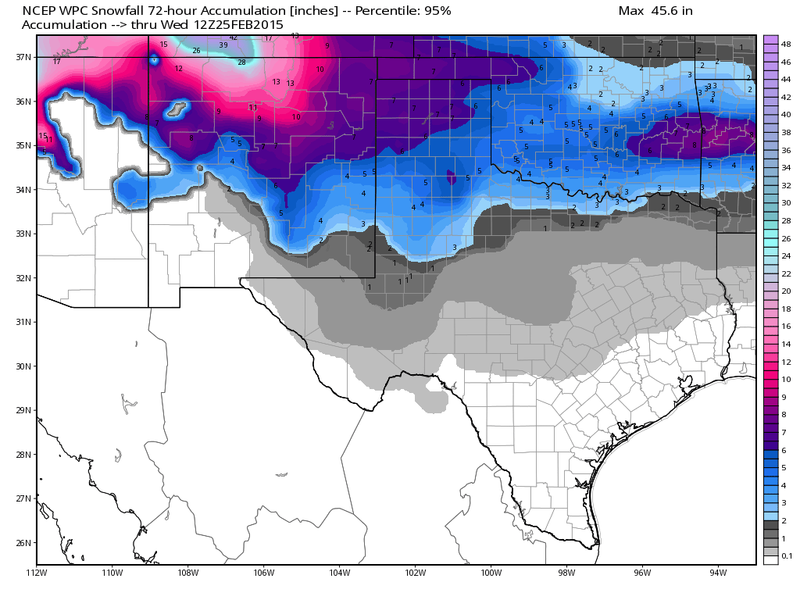 Winter Weather Advisories are in effect for the southeastern plains and nearby West Texas though Monday for the potential of icing from this mix of wintry precipitation. 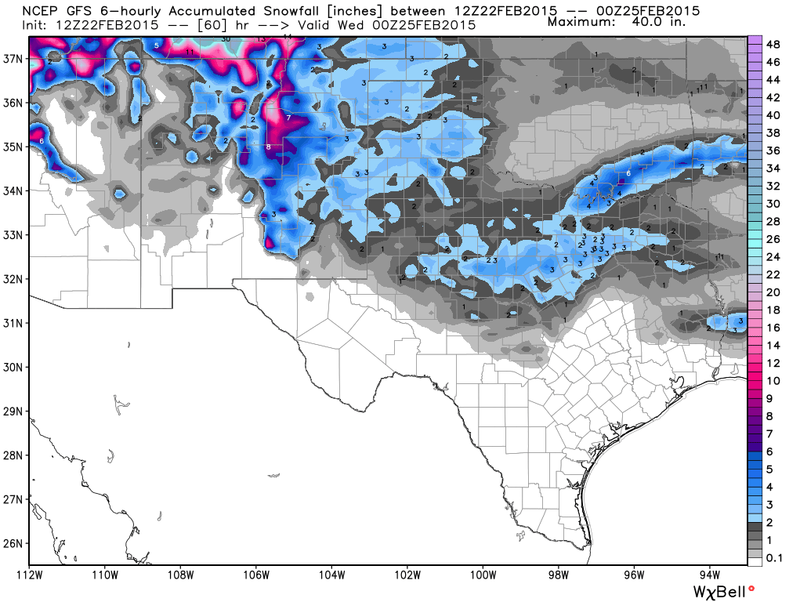 Chaves County still may see 1' - 3" of snow with 2" - 6" across the higher areas of southwestern Chaves County. 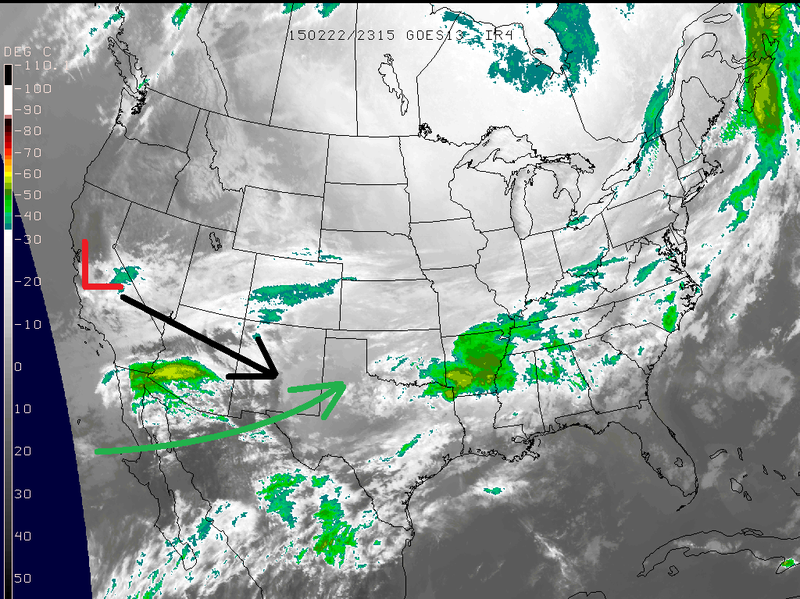 Late this afternoon a closed upper level low was centered over central California and is forecast by the models to slowly move southeast into central New Mexico on Tuesday. Subtropical moisture will continue to stream northeastward into the state from the Baja area tonight into Monday. 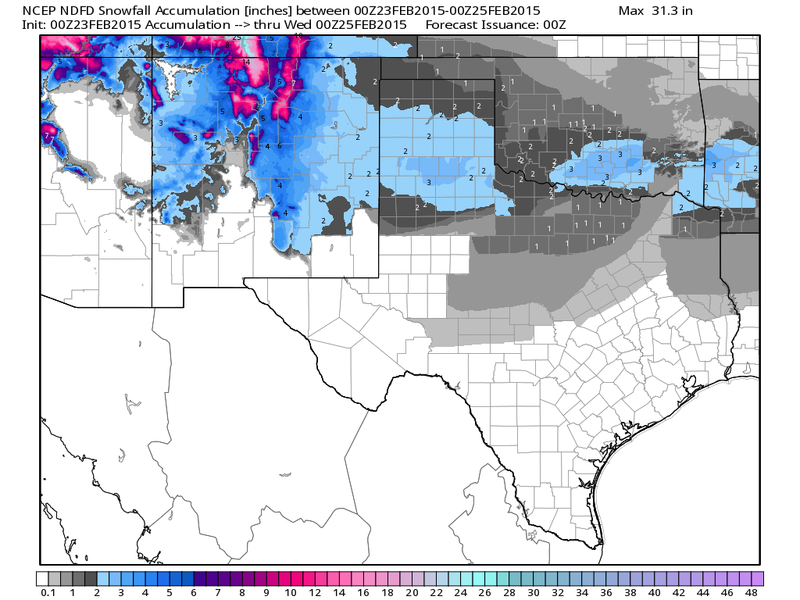 I still think (like today) that we will end up seeing more snow in southeastern New Mexico than what is currently being forecast especially in Eddy and Lea Counties. Please click on this link for the latest travel hazards and road conditions across the area. Local roadways may very well become skating rinks tonight into tomorrow as temperatures continue to drop and the mixed wintry precipitation increases. 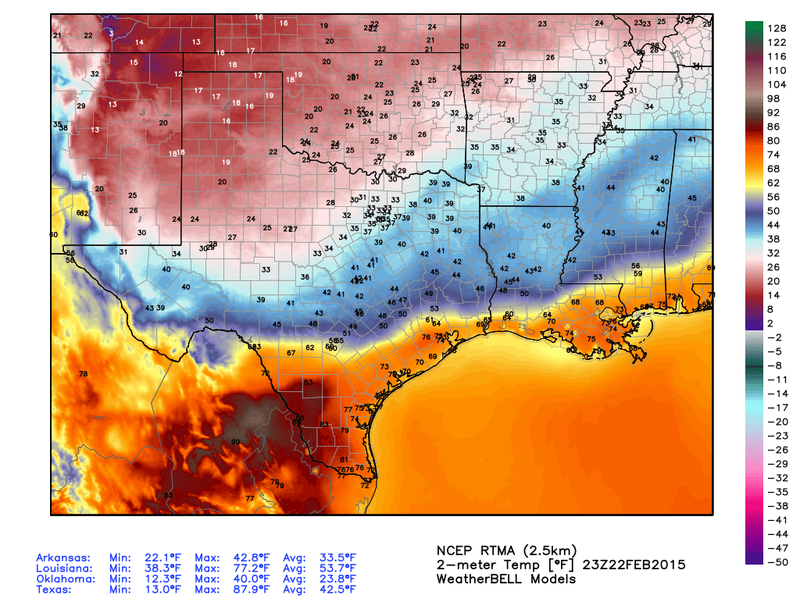 Wind Chill values will drop down to the 0°F - 15°F range tonight into Monday morning. 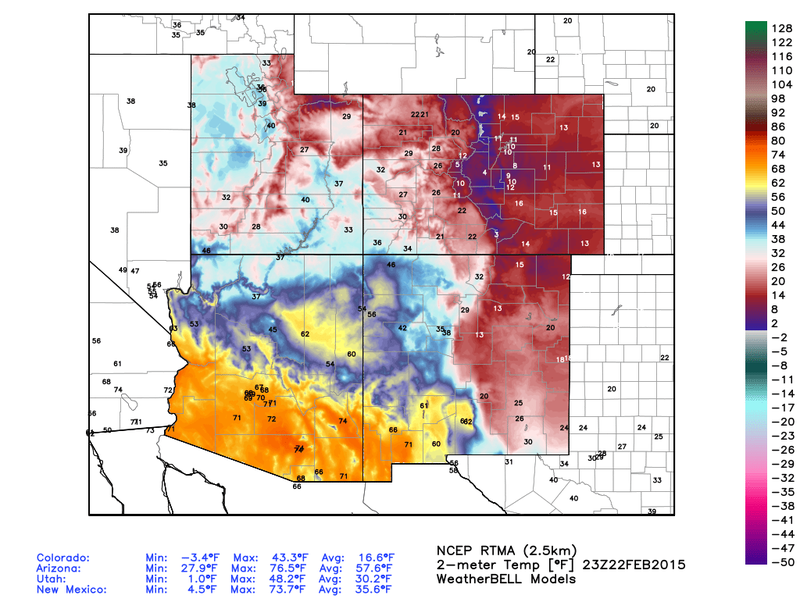 Most of southeastern New Mexico will struggle to reach or climb above freezing Monday.